Built under the reign of Louis XIV between 1666 and 1681, the Canal du Midi is home to 328 structures (locks, aqueducts, tunnels, bridges, etc.) and constitutes a major example of hydraulic engineering of the modern age. Its creator successfully combined technical prowess with a concern for architectural and landscape aesthetics. Listed a Grand Site de France, since 1996, the Canal du Midi has also been recognised as World Heritage by Unesco, which described it as “one of the most extraordinary examples of civil engineering of the modern age which paved the way to the industrial revolution”. It constitutes not only a real technical achievement but also a work of art, given that the canal’s creators were able to incorporate the structure into the very varied landscapes through which it runs. 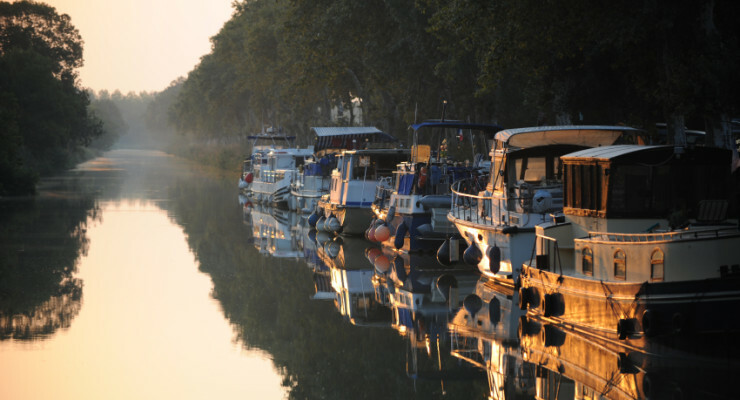 The Canal du Midi, home to many interesting sites and open from March to November, has become a key destination in river tourism. Becoming increasingly popular from the 1960s onwards, hordes of tourists have now been visiting the Canal since the 1980s. It runs through major towns and cities such as Toulouse, Castelnaudary, Carcassonne among others, and the village of Homps which is only two km from our guesthouse.